With the full height structural panel capability to build up to 20m, Insulshell delivers a cost effective, fire rated, construction system, with a performance to compete with and exceed the best industry standards. With constant investment in research and development, our objective is to set new industry benchmarks for sustainability, speed, strength and safety. Retailers and commercial specifiers are increasingly turning to timber as a more environmentally friendly, energy efficient and cost effective way to build attractive, functional retail developments within tight budgets. Consequently wider varieties of structural framing types are being adopted, including glulam, cross laminated timber, steel and concrete frame. 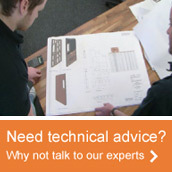 Each system has the need for the provision of a bespoke structural and non-structural infill or envelope panel system. Insulshell is leading the way in the development and application of large format closed panel structural timber systems that deliver the required low carbon and cost-effective building quickly on-time and on-budget. Our innovative method of building offers designers flexibility in both layout and external appearance. High levels of thermal insulation are incorporated within Insulshell, reducing heating costs and conserving energy through improved airtightness. Factory-controlled production of the panels ensures they are accurately manufactured to precise tolerances in an environment unaffected by onsite problems such as bad weather. Insulshell panels are rapidly erected and weathertight buildings can be created in a matter of days. This enables follow-on trades to continue in protected conditions within the building whilst the outer cladding and roof finishes are applied – if they have not already been installed in the factory. Insulshell is designed to accommodate any retail client’s requirements in respect of structural, thermal, and fire performance whilst meeting the aesthetic aspirations of designers and architects. Increasingly the retail sector is embracing offsite construction to meet future UK government legislation to deliver a more environmentally friendly, attractive and comfortable retail experience.